There are so many lip products in the makeup industry; balms, lip butters, lip crayons, lip stains lipglosses, lipsticks....there are just too many to name! 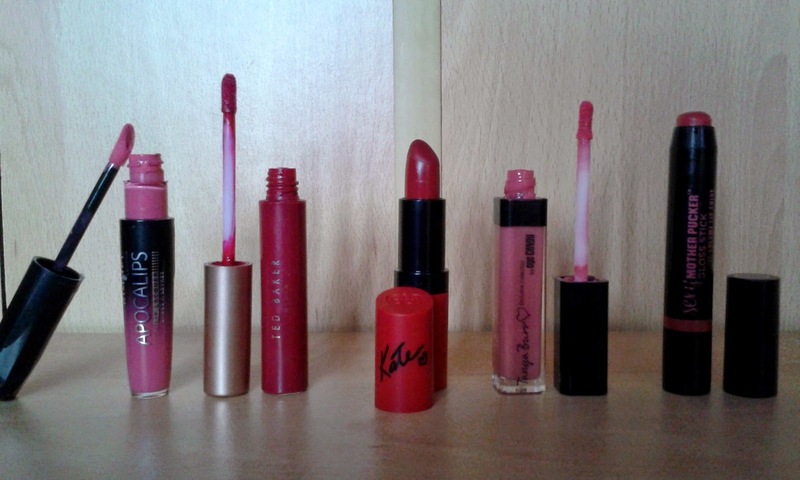 So I thought that I would show you just five of my favourite lip products. Enjoy. My top five lip products are from different brands but most of them are lip butters or glosses. I have a range of colours from pinks to dark reds so they cater for every season and every occasion. I never thought I'd pick a bright lip product up and think that I'd want to buy it but surprisingly after using my friends I had to pick up one up. 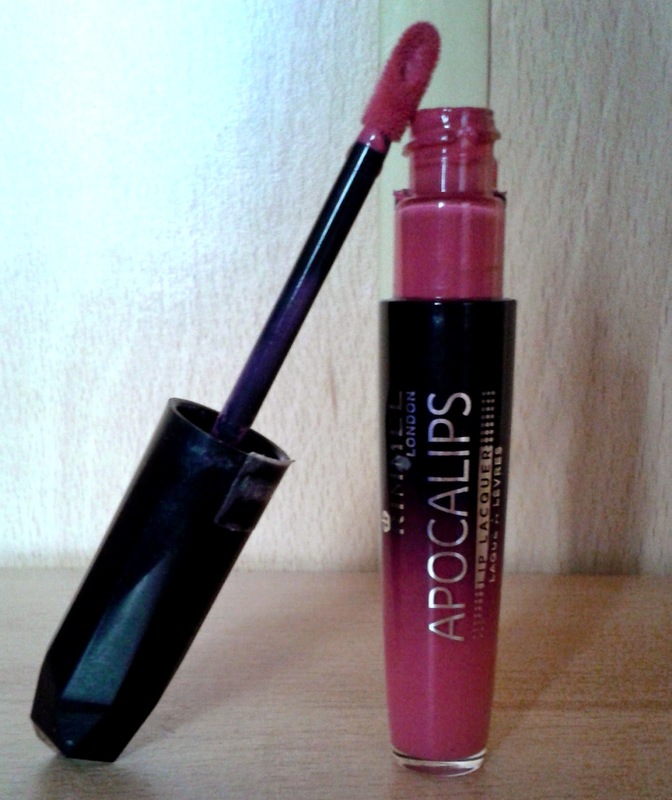 The pigmentation in these Apocalips are absolutely incredible; especially the one above called "Nova" it's a bright pink colour - perfect for the Spring and Summer. The consistency of the product is really nice it's moisturizing but it also dries a bit so you know it isn't going to budge. The only problem is that because it's so bright I can't wear it out a lot because it over powers the rest of my makeup. They've got a whole range if you're not quite ready to brave the brights yet. Also, they've brought out a set of matte versions so I might have to pick some of them up. 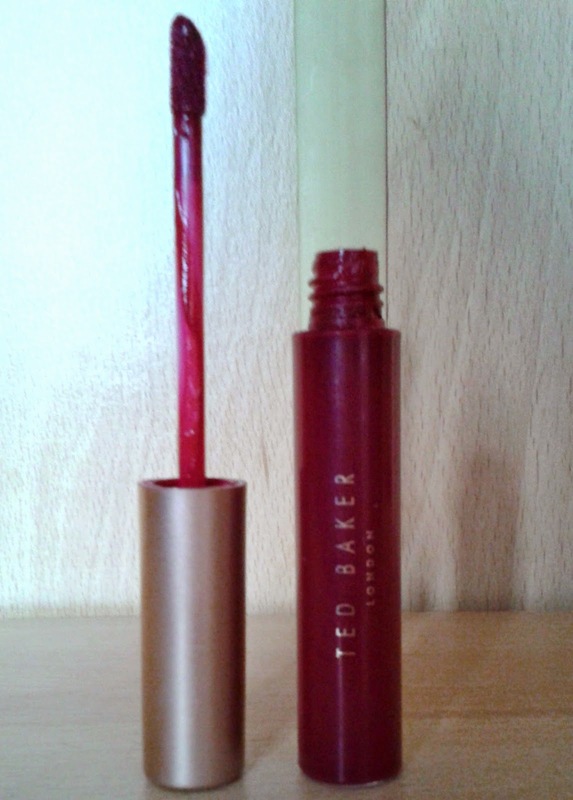 I was given one of the Ted Baker London lip stains for Christmas at least I think it classes as a lip stain. I'm not quite sure what the name of it is but it's a really dark pinky red colour and I just think it's absolutely beautiful! I would call this product a lip stain because when you apply it it dries quite quickly and doesn't budge for the rest of the day and when you come to take it off at the end of the night it still leaves some colour to your lips. The only problem with this product is that because it's a lip stain it leaves my lips quite dry. Pigmentation of the product is truly amazing though; it's so dark and autumnal. It's definitely a party staple in the autumn and winter months. The third lip product I've picked out which has to be my favourite lip product out of the five is the Rimmel London Kate Moss Lipstick in the colour 107. I got this for Christmas and I've worn it most days when I have somewhere to go. I'm just in love with it. It's super moisturizing on my lips but because it is a dark colour I do spend quite a time applying it because otherwise I'll ruin it. So I might have to pick up a lip liner. Any suggestions? Apart from that I really recommend that you pick this lipstick up. I'm definitely hooked on Kate Moss lipsticks so I'm going to have to pick up some more. Any suggestions? 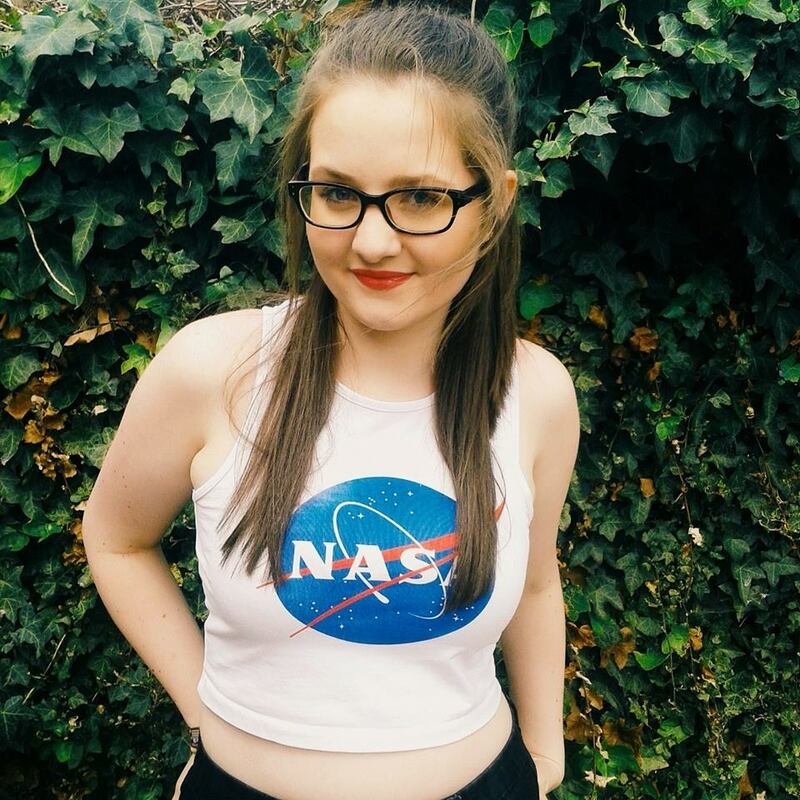 Now if you've been reading my blog since I started you'll already know that I absolutely love the Tanya Burr lipgloss in the colour "Aurora" so I won't go on about it for long. If you want to check out my full review of it click here to read it. Anyway, I really love to wear this lipgloss on an everyday bases and I can' wait to try more of Tanya's lipglosses. 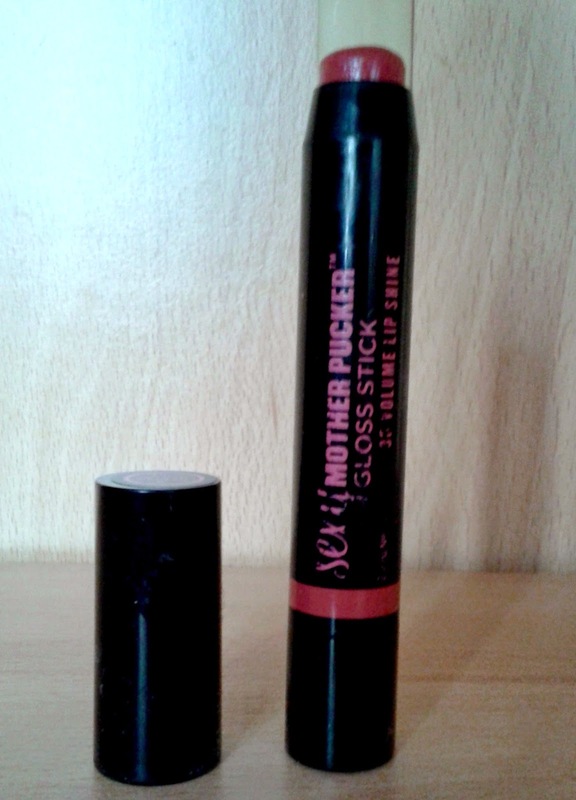 So, the last of my top five lip products is a gloss stick by Soap & Glory in the colour Nudist. I wear this nearly everyday to school. It applies so easily and is so moisturizing. I like to wear it underneath the Tanya Burr lipgloss because I think the combo is just perfect. The only problem I have with it is because it's so moisturizing it does come off quite easily because of the formula of it but aside from that I love it. Definitely going to be picking some more of these up.